Why you should root your android devices? You are here: Home / Android / Top reasons to root your Android devices. Android is one of the most versatile, open and customizable operating system for mobile. It is making a wonderful impact in the smartphone market which has made various user techniques available to tweak your android phones and tablets. The main question most of the times arise is to root or not. Rooting your android devices makes many more functions available which are not available under normal operating conditions. You may think that there is no need to root your device but you will definitely miss out many things that you’d do it with rooted phone. If you are an app lover, than I am sure you might have spent a lot of time on Google play. A large number of apps on the play store require you to have rooted device. In certain cases, you will be able to get in to your device’s brain and make changes to your manufacturer data, network and more. For instance, there is an app called network Spoofer, which makes fake networks and user will be able to see many things like make your text inverted, make them appear fizzy and more. Though it is harmless, still people can use it for wrong deeds. There is another app called Droidwall which will show the number of apps that have been using your wireless data and also provides an option to prevent unwanted data usage. Dual Mount SD Widget: This is another great app but it is not available for free. Once you install it, you will be able to mount your SD card to both, phone and PC at the same time. With theft aware: It will provide uber-security program so that you will be able to remotely track your stolen phone and wipe it off. You can also spy on the other end person without his knowledge. So, the app list goes is very huge which can add great improvements to your rooted device. This is one of the most important reasons to root your android device. Many of you want to have the latest OS installed on your device, but your carrier or manufacturer may not provide updates all the time. So, in such cases, you will have to install custom ROM which will be compatible to your device. Many of you prefer to remain on the stock version, which greatly improves performance of your smartphone. No matter, what phone you have, you will be able to upgrade or even change your OS right away. However, it is recommended that you backup your current ROM before installing custom ROM. As I told you earlier, you will be able to perform a lot of tweaks on your rooted device. May be this is the top reason to root your android device. For instance, if your phone does not have Wi-Fi tethering option, than you may do so by rooting it. It will also open doors for you to create swap files which can be used to boost RAM on low memory devices. So, rooting your device allows you to have tons of customizations. You can also customize the startup screen, along with color scheme and more. By doing some more tweaking, you would also be able to save a lot of battery by using rooted battery saver apps and be able to increase internal memory of your device. This is another top reason to root your android device. Many android lovers hate the default skin that comes along as UI with your new phone. There are also many other soft wares and widgets present. They are often bulky, use up your precious resources and not clean like the stock version. They are also the reason that OS updates take so long to be delivered. To get rid of this, you will need to root your devices which will open doors to install custom ROM’s available over the internet. Some of these ROM’s consists of custom features whilst others might be just replica of stock Android. There are also certain people who are not sure whether it is legal to root your android device or no. So, let me tell you that it is legal in top countries including Australia, Europe and United states. You can read more about legality over here. Rooting your Android device has a lot of benefits just as you have listed here but then it is against the will of your device manufacturer so the risk is totally yours while performing this act. But when you successfully rooted your Android device, you can then gain a root access to your device, you can tweak it as you like, over clock your processor and improve the speed of your device, you can even remove the stock rom and replace it with a better or more recent custom rom. You can only perform a stock rom backup when you have root access in your device, and some apps requires you to root your device before you can be able to install and use them. Its great to see that you have covered many reasons on Rooting an android device. as many of the people who are rooting their devices will have several doubts which are cleared by the article. 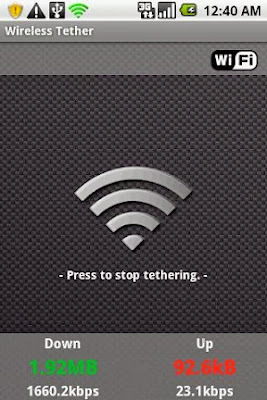 if your phone does not have Wi-Fi tethering option, than you may do so by rooting it… really ? another top reason to root your android device. Many android lovers hate the default skin that comes along as UI with your new phone. There are also many other soft wares and widgets present. Well, many of the phones that are running on old OS, they do not have tethering option. So, it will be useful for them. The ability to overclock your phone is the best reason for me. Also you can extend your internal memory which can be a life saver for people with low internal memory. Yeah it is fun, but you have to be careful. Like recently my phone was stuck at boot logo so i just had to pull the battery and than flash it with official firmware.! help me please,, i want to root my device,, and now i stuck in boot logo in 4 hours,, what should i do? hopeless T_T.. Try clearing data from your recovery. In case if that doesn’t work, flash with official firmware. I completely agree with what you have mentioned in the post. Yah, rooting turns your smartphone in to an even ‘smarter’ device. Within few days of launch XDA members reveal the necessary tools and steps. Me too using a rooted device but the issue is it voids warranty and may brick at times. if sometimes rooting fails what things we must do…as we are rooting android phone how can we get warranty…..can we have the option of recovery or restore factory settings…..
You can flash with official firmware, provided by manufacturer. Else, there is an option to wipe data from recovery menu. Yes you are right.But if there is any problem occur during root process at that may be you device is damage.Thank you for sharing this article. Yeah, but you can flash it with official firmware. rooting of android phones make it easy to access and also we can remove the system default apps which we don’t want. i think everyone should root his phone as soon as possible. I am not really sure of whether rooting mechanism can benefit us or put us into trouble.My bro routed his Lg mobile and it worked fine. Though i know there are a lot of variations that will be seen after routing like we will have our specifications level increased and all but still there are chances that mobile may get damaged in few cases.Do you agree about the negative side of t? Well, there are certain risks but if you root your device properly, there is nothing to worry about. You can even flash with official firmware in case if something goes wrong. Its nice that you asked “WHY YOU SHOULD ROOT YOUR ANDROID DEVICE”.Most of the people root their Android devices unknowing that what will they do after ROOTING your smart phone.You can really unlock may new features and also will be able to install ROMs on your ANdroid devices. 1)You can have the full overtake of RAM on your device. 2)You can have the app called”TITANIUM BACKUP” on tour android devices. 3)You can more features to your android device by installing new apps that only comes with after ROOTING. Well do you think that rooting gives a hike in performance? Cz when we are rooting we are only getting super user access. Although ya with SU access we can do hell lot of things but the question is that rooting alone gives any benefits? Yeah. You can overclock your processor, remove bloatware and much more. Rooting your smartphone is a little bit complex thing, but if done successfully you can gain a root access to your device. There are many benefits of rooting your phone like customization of ROM, increase its speed, can remove system default apps and install new apps, easy to access, OS iupdating, overclock the CPU etc. The above post explains the ways and the benefits in a detailed manner. I hope this would help many people especially for those who have not tried rooting. These are surely the benefits of rooting your android device, but i have one doubt. If a phone gets into brick stage while it is rooting, can we get is into working stage again? If its software brick, than its easy to recover. With benefits there are few issues also, i have a acer iconia b1 tablet and when i rooted it , it got stuck in the boot loop and there was no other way i could get out of it, finally i had to visit the service center and get it repaired so before rooting always check how your device reacts to the root by searching over the internet. Thanks for compiling this article. The best thing i find about rooting an android phone is the freedom to flash as many ROMs as we want. And i would like to point out that many security apps are available in which you don’t need to root your phone. One of them is LookOut. It was really a nice write up. You have mentioned all the benefits of rooting an Android device. The Best thing I found is the capability of flashing a custom ROM. Anyway I Appreciate your work..
Rooting is often seen as risk, as you are solely responsible of the outcome after the task, hence creates a question in ever ones mind and so in my mind too that is the power worth the risk, hence i am still confused.